An interesting combination of textures which is dressed with vitamin A enriched flavourful muskmelon dressing. 1.Blend the muskmelon to a smooth purée in a blender. 2.Add the remaining ingredients and mix well. Refrigerate till required. 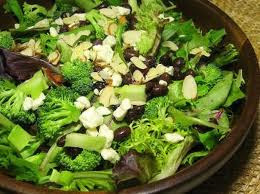 methods 1.Combine all the ingredients for the salad in a bowl and refrigerate. 2.Just before serving, add the dressing and toss well. 0 Responses to "EXOTIC SALAD"